Brand Symphony has released a model Symphony B17i. 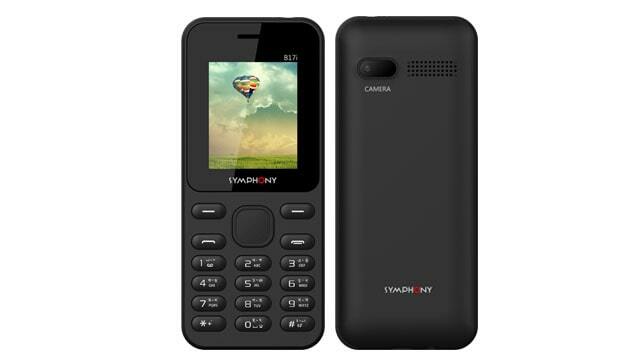 Now this phone is available in Bangladesh.it is a GPRS supported feature phone. This phone has a 1.77-inch QQVGA screen with 128 * 160px resolution. The weight of the phone is 00g with 109 * 47 * 13.6mm dimension. Camera section of the phone is stuffed with Digital Camera back and the battery capacity is Li-ion 800 mAh removable. This B17i support 32MB ram and 32 MB ROM and you can use an external memory card up to 32GB. This handset also operates Bluetooth, FM, Calendar, Speakerphone. Black, these one color is available for this model.